In this guide we will install and configure phpMyAdmin to work with Nginx on Ubuntu 16.04 / 17.10. You should be using a non-root user with sudo privileges as explained in Ubuntu 16.04 / 17.10 Initial Server Setup. Let’s begin by updating the list of available packages and installing phpMyAdmin. As there is no option for Nginx here, press TAB and then ENTER to continue without selecting a web server. Select Yes and press ENTER to install and configure the database. 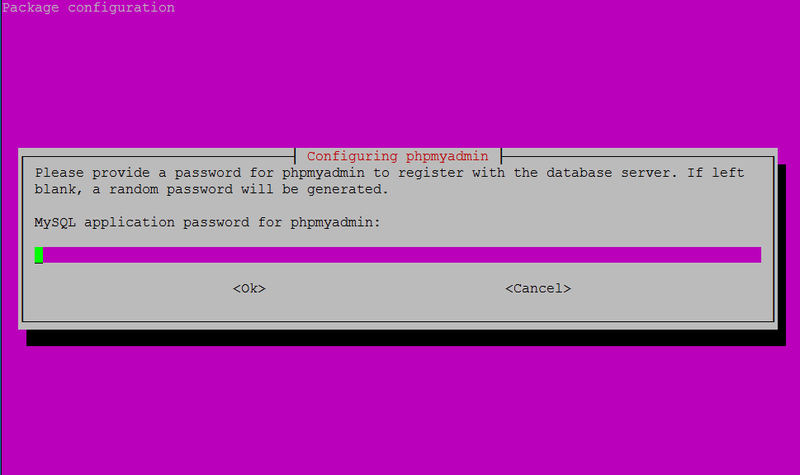 The MySQL application password is only used internally by phpMyAdmin to communicate with MySQL. You can leave this blank and a password will be generated automatically. In order for Nginx to serve the phpMyAdmin files correctly, we must create a symbolic link from the phpMyAdmin directory /usr/share/phpmyadmin to the Nginx document root directory. The default location of the Nginx document root should be /var/www/html/, though it could be different depending on your setup. If you followed a previous guide for setting up multiple domains, your document root may be located in somewhere like /var/www/example.com/public_html. 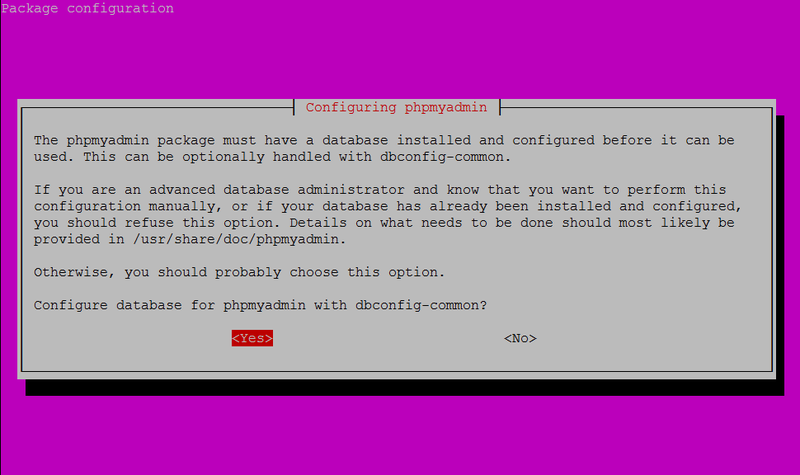 Let’s create a symbolic link from the phpMyAdmin directory to your document root. Here we will assume your document root is /var/www/html/ and we will simply add phpmyadmin to the end of it. This will allow us to access phpMyAdmin at example.com/phpmyadmin. You can now log in with the user root. You will have set up this root user and password when installing MySQL for the first time. You’re done! If you would like to set up some additional security for phpMyAdmin, continue to Step 4 and Step 5. Bots and attackers continuously scan web servers for the phpMyAdmin login page, so it is recommended that you change the URL to something else. In this example we are going to change it from example.com/phpmyadmin to example.com/pma_hidden. All we need to do is to rename this symbolic link, in this example, to: pma_hidden. Make sure you enter the correct document root here. The default is /var/www/html though it may be something like /var/www/example.com/public_html/ on your server. To provide an additional layer of security, we can set up authentication in Nginx. Firstly, generate a strong password and keep it safe. We will now install apache2-utils, which can generate the .htpasswd file that works with both Nginx and Apache. Once installed, we can generate the .htpasswd file. Simply change username to the username you require. Generate a password and keep it safe. This this example, we will assume the config file is in /etc/nginx/sites-available/default. Open the file to edit. Save file and exit (press CTRL + X, press Y and then press ENTER). Check that the Nginx config file is valid. If valid, reload Nginx config. Now when visiting example.com/pma_hidden, you should be presented with an authentication window. It’s good that I somehow noticed it, so for anyone reading, just check you password doesn’t contain ' or ". Well spotted. There’s also an option on that site to “Exclude ambiguous symbols” so you can avoid that issue. Hi. I have follewed your guide. But when i test my server with “http://my_server_name_or_ip/phpmyadmin” i am getting 403 forbidden page. I am using ubuntu 16.06 lts, installed mysql, php, phpmyadmin. Could be a number of things. Were you able to access phpMyAdmin in Step 3? If you didn’t get that far, check your document root ls /var/www/html – do you see the symbolic link phpmyadmin in cyan? I think I know what your problem is because the same happened to me. It was because I didn’t have PHP configured correctly. You’re meant to have PHP installed and working before installing phpMyAdmin. Did you do that? Thanks for this. Nice guide. However, when I run step 6 and 7, I keep getting a 403. Without the extra security I can access phpMyAdmin. P.S. 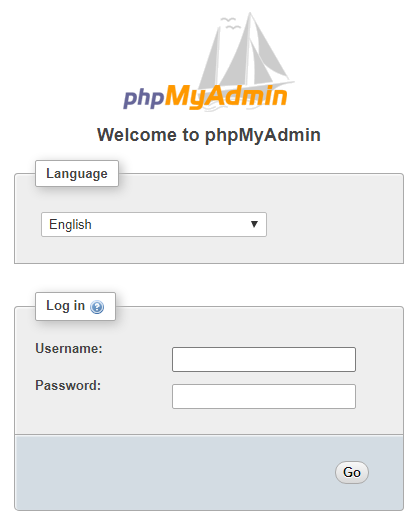 My phpMyAdmin is installed on a remote server. P.P.S. I also don’t see the “User accounts” tab. It seems the phpmyadmin user is lacking priviliges. Any way to grant them? This guide has since been updated. You need to log into phpMyAdmin using the MySQL root account, which has the privileges needed to create new dbs and set up user accounts. I believe the phpmyadmin account is used for the controluser to connect to MySQL (the controluser is an administrative user phpMyAdmin uses to handle some advanced features like bookmarked queries, relation view, and user-level permissions). You don’t normally need to use that account or anything. It’s just a system-level thing used for the applications to communicate. 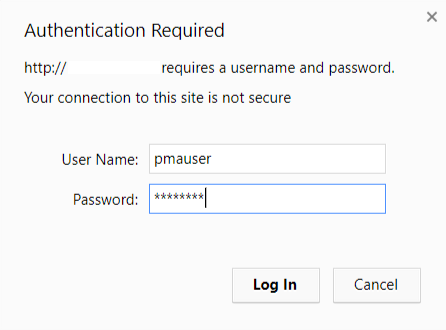 After I enter my phpmyadmin username and password, it auto redirect me to mydomain.com/index.php?token=randomkey instead of mydomain.com/pma_hidden/index.php?token=randomkey. Hi Chhy. Were you able to access phpMyAdmin at example.com/phpmyadmin in Step 5 before continuing to Step 6 and 7? If so, go back into your Nginx config file and comment out the changes you made to see if you can regain access to phpMyAdmin.